The Feel Refreshed™ fragrance is a potent combination of 24 of the purest possible essential oils; including Sicilian lemon and Fresh Basil; all of which have been expertly blended to energise and uplift. 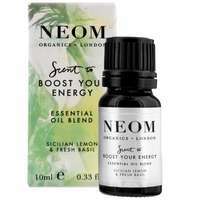 Breathing in a high concentration of pure lemon oil works to stimulate a tired and busy mind, encouraging clear thinking, while Basil has long been used to help with mental fatigue and the ability to concentrate. Perfect for the morning or a pre-night out pick-me-up. 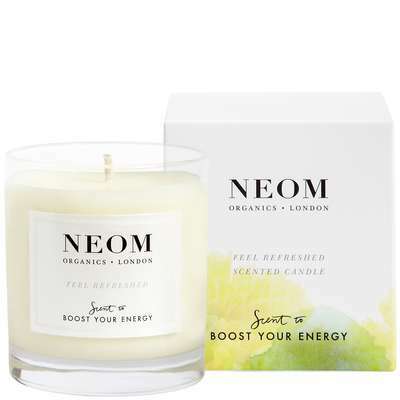 Top Energising Tip: For a more intense treatment that gets to work even faster, layer the scent from your candle with a Feel Refreshed Reed Diffuser and Home Mist. 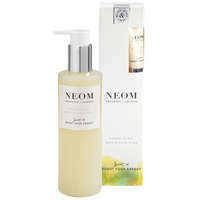 Keep energy levels topped up during the day with Neom’s Scent To Boost Your Energy™ On The Go range. Warning: Keep only in original container. Read label before use. In case of fire use water spray for extinction. If on skin wash with plenty of soap and water..